Malayali beauty, Anupama Parameswaran is on cloud nine as she has got a trmendous response for her role as Maha in the recently released film Unnadi Okkate Zindagi. Anupama spoke to the press today and said that she is very happy with the response for her film and also thanked the audience. 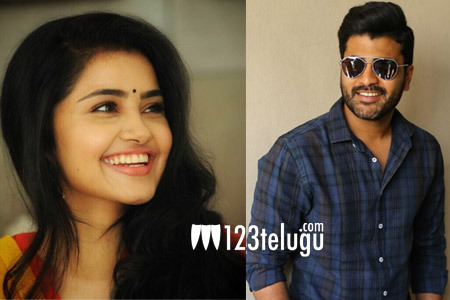 When asked as to who her best friend in the industry is, Anupama right away said that she is very close to hero Sharwanand and treats him as her best friend. Both Sharwa and Anupama shared a wonderful chemistry in Shatamanam Bhavati which was a huge hit at the box office.